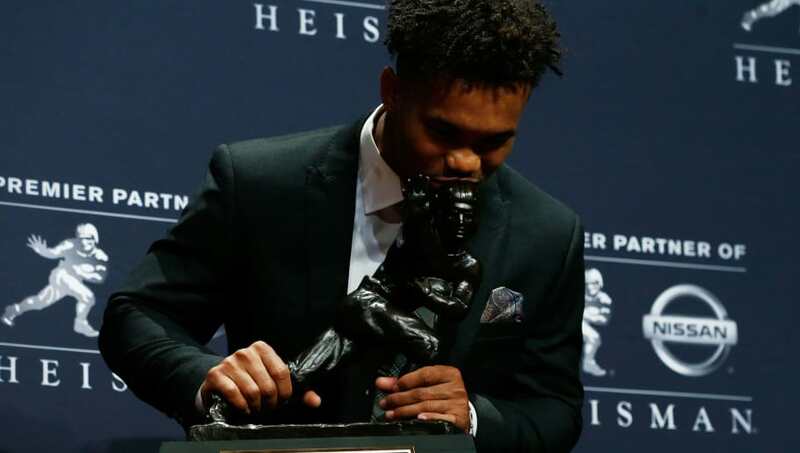 You could make a really strong case for ​Oklahoma Sooners quarterback ​Kyler Murray as the best athlete in the country. The raw talent needed to not only win a Heisman Trophy, but also get drafted in the Top 10 in another sport (baseball) is almost incalculable. Drafted ninth overall by the ​Oakland A's, Murray will give up football and join the Athletics for spring training, according to his agent Scott Boras. This would end Murray's football career. Still, Murray doesn't sound like he wants to totally shut the door on football. He claims that he will be a successful NFL quarterback if he picks that path. ​​Nearly 5,000 total yards and 51 total touchdowns will certainly turn the heads of NFL scouts. His arm strength, accuracy downfield, and playmaking ability would certainly check all of the proverbial boxes at the next level. The issue is his size. Not only does he stand just 5-10, which would make him the shortest quarterback in the league, he checks in at just 190 pounds. Even with that red flag, some teams and scouts consider Murray a potential first-rounder based on his arm talent. ​​Comparing short quarterbacks to Russell Wilson is overdone and often inaccurate. Murray, however, is a spitting image. Wilson is a smaller quarterback who turned down the allure of baseball (he was drafted by the Rockies and is technically under contract with the Yankees), overcame his size restrictions, and is now an MVP candidate. If Murray does decide to eschew baseball, he has all of the arm talent to be a success as a pro.